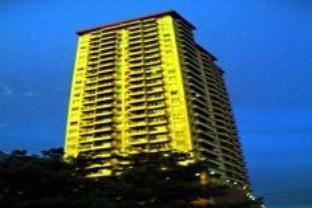 The Diamond Hotel is perfectly located for both business and leisure guests to Manila. This 5-star property offers travelers a choice of 500 pleasant rooms that are equipped with the standard amenities of hotels in its class. Each guestroom is tastefully appointed with non smoking rooms, air conditioning, bathrobes, desk, hair dryer. The amenities and services offered at this Manila accommodation include 24hr room service, shops, executive floor, elevator, coffee shop, bar/pub. To unwind, guests can enjoy the leisure facilities provided on The Diamond Hotel's property, including massage, jacuzzi, gym, sauna, steamroom. The Diamond Hotel provides a warm and welcoming service of international standard. For your reservation at the Diamond Hotel Manila, please choose your period of stay and fill out our secure online reservation form.